TEAM Newburgh hosted a fun day for youth at Algonquin Park in Newburgh on Friday, July 15, 2016. 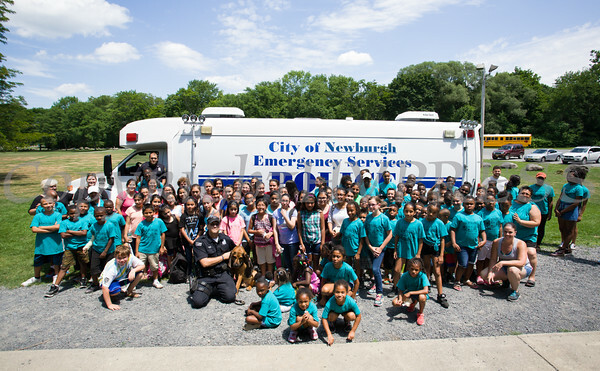 Youth pose for a group photo with City of Newburgh Police Officers Dan D'Elicio and Curtis Hahne, K-9 Tank Tebow, and TEAM Newburgh partners following a fun filled day for the youth at Algonquin Park in Newburgh on Friday, July 15, 2016. Hudson Valley Press/CHUCK STEWART, JR.